Transfer the rights to a business, company, or practice with this business assets bill of sale. 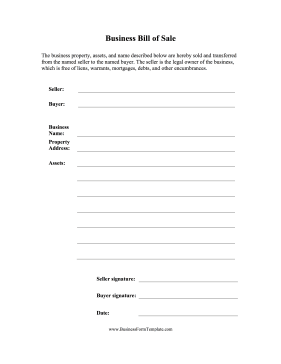 The business property, assets, and name described below are hereby sold and transferred from the named seller to the named buyer. The seller is the legal owner of the business, which is free of liens, warrants, mortgages, debts, and other encumbrances.